The central theme of the Mesozoic Era right before was about how dinosaurs dominated the land. Now, the Cenozoic Era (66 Million Years Ago to Present) is a story about us. It’s the era when humans began to evolve. But first, humans needed a bit of help. As dinosaurs roamed the Earth for over 160 million years, we needed their dominance to end. And this finally happened with the Cretaceous-Paleogene extinction event at the start of the Cenozoic Era. 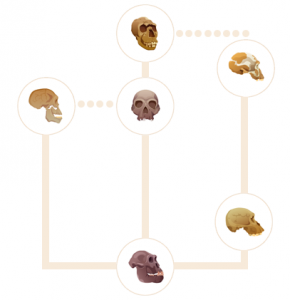 From there, early humans evolved from small, furry mammals. They began walking on two legs, using their freed hands and sharing information in groups. Ultimately, the start of the Cenozoic Era was the demise of dinosaurs. After a 6-mile wide asteroid hit Earth 66 million years ago, a dust cloud blocked the sun. The worldwide climate disruption caused temperatures to plummet and enter an ice age. Because of the reduced sunlight, it halted photosynthesis from plankton and plants. 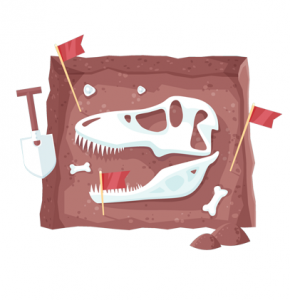 From the initial strike, dinosaurs were almost completely wiped into extinction. But mammals managed to survive the impact of the Cretaceous–Paleogene (K-Pg) event. So how come mammals didn’t go extinct? Though opinions vary, it’s believed their burrowing lifestyle shielded them from the heat. Mass extinctions have occurred several times in Earth’s history. Similarly, scientists are still trying to unravel the mysteries. Mammals existed long before the Cenozoic Era. But they kept a low profile because dinosaurs dominated the land. When dinosaurs roamed the Earth, mammals remained small and fury. After the extinction of the dinosaurs, mammals finally had their chance to evolve. In the Cenozoic Era, warm-blooded mammals diversified to land, air and sea habitats. It was the peak of evolution in the age of mammals. Not only did mammal diversity increase, but they were the largest land animal at the time. This diversification eventually gave rise to the human species. Chimpanzees are humans most common ancestor. About 13 million years ago, these creatures lived high in the trees for their primary food source. But as Earth’s climate began to shift, grass began to spread. As a result, there were fewer trees in places like the African Savannah. The loss of forests meant fewer food sources for chimpanzees. Likewise, there was more competition for food in trees. This forced chimpanzees to find new food sources. With their heads above the grass to see predators, it’s believed this is when four-legged mammals adapted to walk on two legs. When early humans began walking on two legs, it freed their hands. Now, they had an advantage because they no longer walked on four legs. At this point in time, human evolution really began to kick off. Hominids were the early proto-humans who really began to master the use of their hands and fingers. For instance, they were known for sharpening objects with silicon rocks. But not only did these early humans start manipulating tools, they were able to control fire. In the stone age, early humans cooked their food. This gave them more calories and the chance to develop larger brains. Lastly, early humans learned to make more complex sounds and share information in groups. Because of this cooperation, it helped them bond, form cultural groups and build like-minded communities. At 7.6 billion people, the human footprint has left a profound impact on the planet. 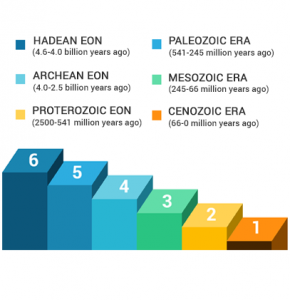 The Cenozoic Era started with the extinction of dinosaurs and moved into the age of mammals. 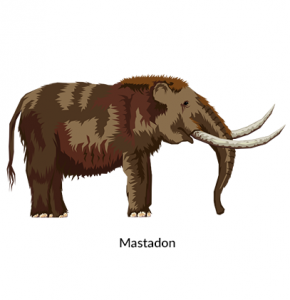 This led to the diversification and increase in size of mammals. Chimpanzees began to walk on two legs because they needed to find food sources in the African Savannah. This freed their hands to carve out tools and gain control of fire. So humans have only existed for 0.004% of the age of the Earth.